It has been nearly a year and a half since the Freedom of Information Act was signed into law. It is an important piece of legislation for what it does: it treats information as a public good, which may be defined as something that society is entitled to at no cost. This means that public entities, as custodians of that public information, are required to provide it to the most important person in the state: the citizen. I talked about it here focusing on how useful this law will help us citizens to start keeping our leaders accountable. That’s all good. But I’m not sure we’ve taken as full advantage of this law as we should have. The state is obliged to publish and publicize any important information affecting the nation. 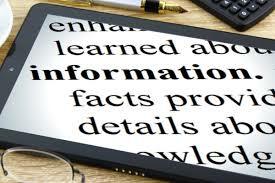 The Freedom of Information (2016) provides legal direction and the details on how to access this information. Basic concepts of this law are that: the state has a duty to disclose information; there should be proactive disclosure; and the public entity needs to maintain clear, current, and comprehensive data. At the Jan. 31 KICTANet workshop on the FOI law, fewer than half of about 20 participants had applied for information from different public entities. The responses indicated that we have multiple barriers still preventing us from achieving the intent of this law. Some of those barriers were: sometimes information given is superficial or vague, there was a lack of clarity on when the information would be provided, there was ignorance or intentional blocking of information provision by State officers, the citizens sometimes do not know how to request for information, and the state and its officers historically are used to withholding information. Within 21 days, the entity can make a decision on whether it’s a request they can meet or not, and provide the information. If the information concerns the life or freedom of a person, the request should be responded to within 48 hours. The period of response on a single issue can be extended for at most 14 days. When the request is denied, the public entity should write back to you indicating this. Hopefully, many more of us citizens will take advantage of this provision to understand what goes on in our publicly funded hospitals, schools, security institutions, county and national governments, etc. The entire law is available at this link on the Commission of Administrative Justice website.